Bohemian fashion is like a song that pays ode to all things earthy even as it brings in a touch of the whimsy, often tying the woman to the child who still thrives within. That girl may be one who loves to build sand castles, or play dress up with her mother’s oversized furs and heels. That girl may be busy re writing her own fairy tale, or soothing herself with retail therapy when all else seems awry. The Bohemian girl is one who dresses as per her mood and let’s her attire flow as an extension of her free spirited nature. So, how can you be Bohemian at work? Here’s a look book for you! Designer Basi Gaba from The White Muslin is behind this rather hep number with its Oriental leanings. The gold speckles on the waistcoat add that bling factor while the tassels bring in a strong bohemian character. The A line cut and the slim pencil pants ensure that the look works perfectly at the workplace. I love how the garment has been styled with simple flat sandals for a fuss free vibe – very down to earth, yet very wow! Nothing says Bohemian like asymmetrical beads strung on twine and all things quirky. This necklace by StyleAura’s Ruchi Kocchar for The White Muslin, is classy even as it retains its earthy charm and free spirited personality. It is the perfect pick for the grey ensemble above since it brings in a muted gold finesse to match the speckles of gold on the waistcoat. The rust also gives a pop of colour to the neutral hue. 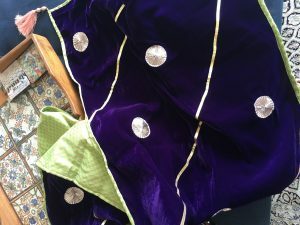 Carrying on with my love for all things on the exotic side when it comes to accessories, I would love to throw this velvet dupatta by designer Aekta Dhingra over the ensemble for a rich yet elegant look. 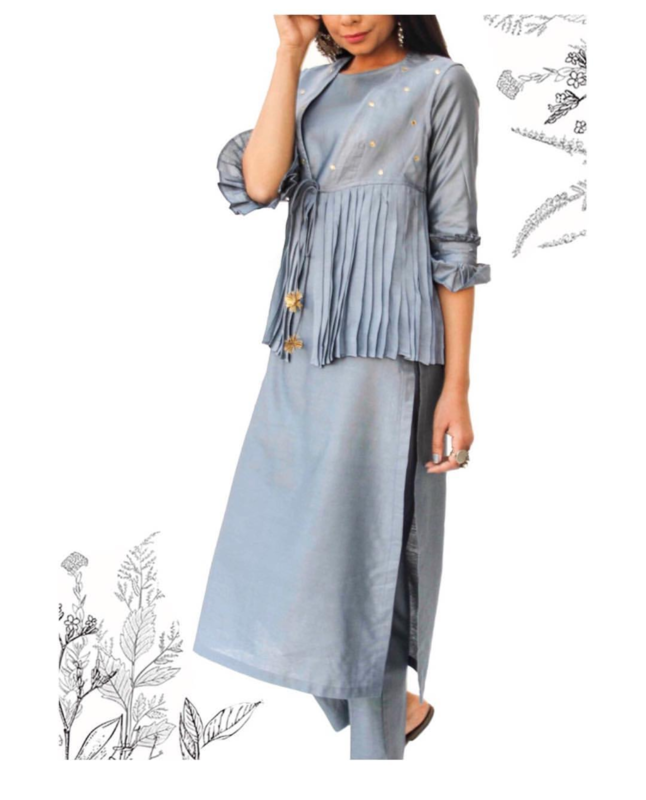 The robust purple ensures that the personality of the child woman shines through in true Bohemian style, while the green matches step with her feminine side, once combined with the grey ensemble above. Drape it like a shawl over your shoulders for a pick me up during the incessant rains! Don’t let the rains dampen your Bohemian spirit. 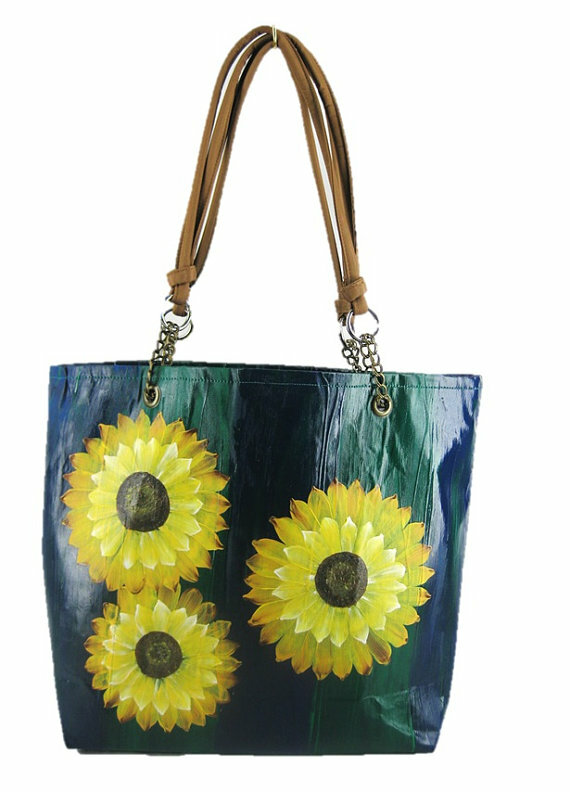 Try this bag from Fuchsiaa, a hand crafted line of bags and jewellery from designer Dolly Mahapatra. Add the sunflowers to this entire ensemble for that flower child look! 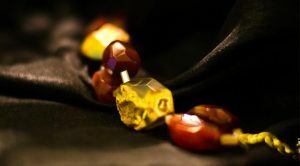 The sunny yellow hues of the flowers support the dull gold beads of the necklace. Soft curls layered with brown highlights are the way to go for this look – just wild enough for the free spirited Bohemian, but tame enough for the work place! Styled by Abhishek from Zulf, this one says, I am ready to wow the world with my distinct brand of earthy glamour!